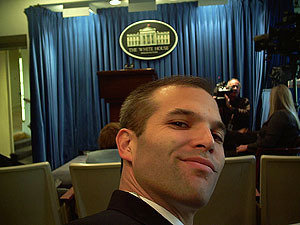 Matt Taibbi is a hard guy to defend. He exaggerates, he misinterpets, and he uses bad language. Sometimes he gets his facts wrong. If I knew what was good for me, I’d just leave it at that and jump on the bandwagon that says his brand of journalism is beyond the pale. What unites not only Obama’s economic team, but his whole White House, is not its emphasis on rich people. It’s the emphasis on people accustomed to dealing with Congress….It’s rather difficult to say what these people do and don’t believe, as their whole world is finding 218 in the House and 60 in the Senate, and every word, action and policy brief is squarely aimed at that goal. That leaves two questions worth asking about them: First, are they more or less liberal than the 218th most liberal congressman and the 60th most liberal senator? Second, are they good at their jobs? That is to say, are they good at bringing 218 congressmen and 60 senators into line behind reasonably good policy? I’m just not sure this works. It does matter what these people do and don’t believe. Speaking for myself, I’d really like to know whether we have a progressive administration that’s hemmed in by Congress or if we have a mainstream administration that pretty much agrees with the 60th most liberal senator in the first place. If it were the former, we’d at least be hearing leaks that they wanted to propose hard-hitting regulations but eventually decided not to on tactical grounds. But we haven’t. The regs that came out of the White House earlier this year were mostly pretty soft, and there was very little sense that anyone in the West Wing had been arguing to open the negotiations with Congress from a more forceful starting position. Now, I suppose one argument is: who cares? “We don’t want to tilt at windmills,” Obama said last June, and hell, maybe he’s right. But that takes things too far. It suggests that Congress has all the power and Obama virtually none. I agree that Taibbi should have emphasized Congress, and congressional Republicans in particular, more than he did, but surely it makes a difference if the president stakes out a courageous position in the first place? If he gets the public on his side, that’s got to count for something. But he never really even tried, and I think that’s largely due not to political considerations, but due to the fact that his team didn’t really want to stake out a more audacious position. Neither did Obama. He reappointed Ben Bernanke with barely a second thought, after all, which certainly suggests that he’s basically OK with Bernanke’s general view of the economic world. And while it’s true that in one sense there’s nothing new here — Obama was pretty obviously a fairly mainstream guy all throughout the election — he’s also the guy that promised at every opportunity to change the way Washington works. He’s the guy who met with bankers and made sure we all knew that he told them he was “the only thing between you and the pitchforks.” He’s the guy who tells 60 Minutes that he didn’t run for office “to be helping out a bunch of fat cat bankers on Wall Street.” He may be mainstream, but he’s certainly doing his best to sound otherwise. So sure: Congress is a problem. But so is the White House. So is the Fed. So is the SEC. And that’s the whole point. They’re all problems. Taibbi chose to illustrate this colorfully, and sometimes that color gets in the way of a coherent narrative. But dammit, at least he’s telling the story, and there are damn few others who are even trying to tell it in popular, long-form venues. As soon as they do, maybe we can all toss Taibbi on the ash heap and take turns raining down curses on him. Until then, he’s what we’ve got.